A couple days ago I mentioned in a post that I bought some stuff from IDW Limited. Well, here it is! 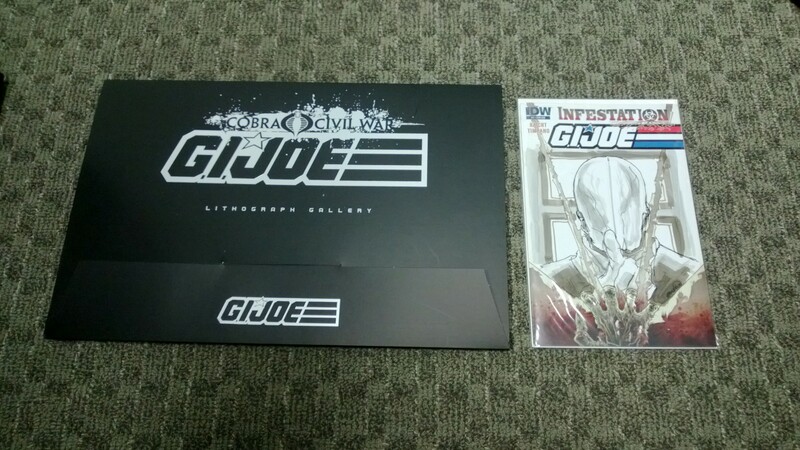 First up is a one of a kind sketch cover of GI Joe Infestation with Cobra Commander by Germanico. I have to say it looks badass and makes me want to buy a couple more sketch covers from IDW. Second, I picked up the Cobra Civil War Lithograph Gallery. It is prints of 9 covers from the Civil War, all the variants with CC’s head/helmet and another character. I also may have some big news about some really cool IDW Joe stuff in the next day or two. I’m efforting that in my free time. Hint: original art. Categories: General Joe Stuff, New Joes | Tags: Comic, comics, G.I. 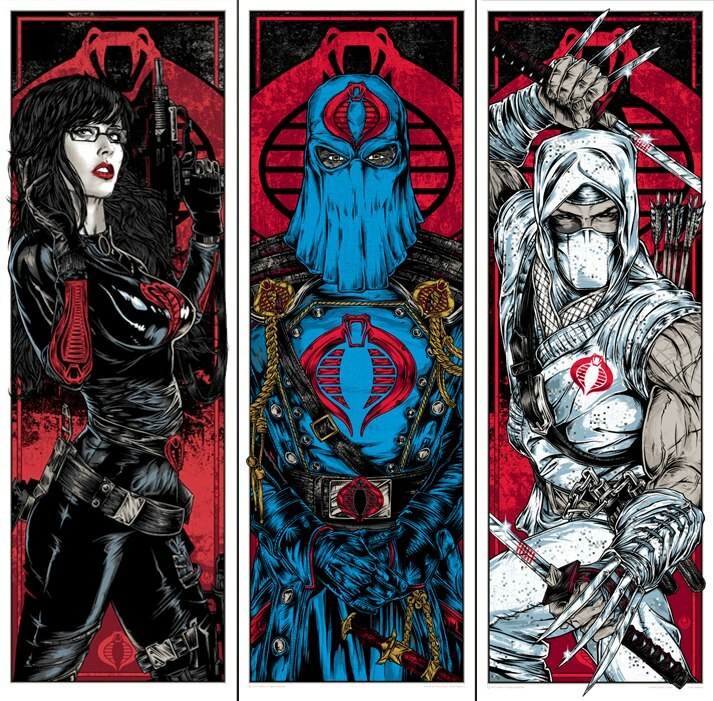 Joe, GI Joe Art, IDW Comics, IDW Limited | Permalink.